Friendly reminder, please don’t film or play on railroad tracks. 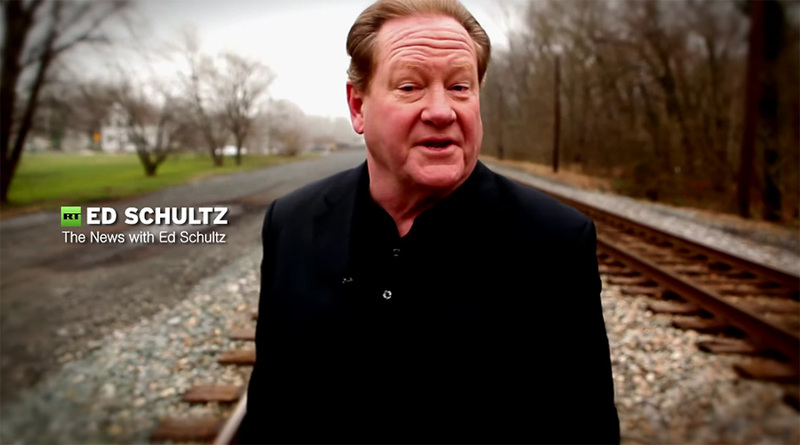 With dramatic music pounding and trains roaring by, Ed Schultz announced his return to cable news today with a new show for RT America, the Russian-government funded network. The RT America show debuts January 25 at 8 p.m. ET.